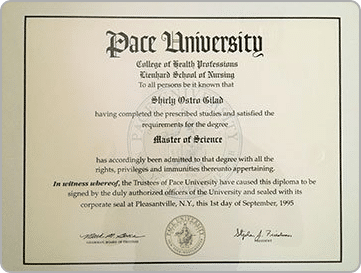 Shirly Gilad has helped me in so many ways. I was fearful of flying and after two sessions with her, I was flying!! I will admit I was skeptical at first yet remained open minded and was literally stunned at the results. Shirly is a genius in my opinion, she is so knowledgeable and so kind, she makes herself available to you and is very responsive in answering questions. I have had 3 sessions and plan to have several more to work on other issues. 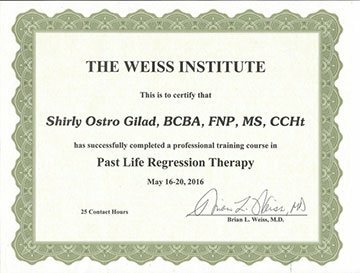 Shirly Gilad changed my life for the better, I highly endorse her for anyone seeking her services. If there were 10 stars I would have checked 10 stars. 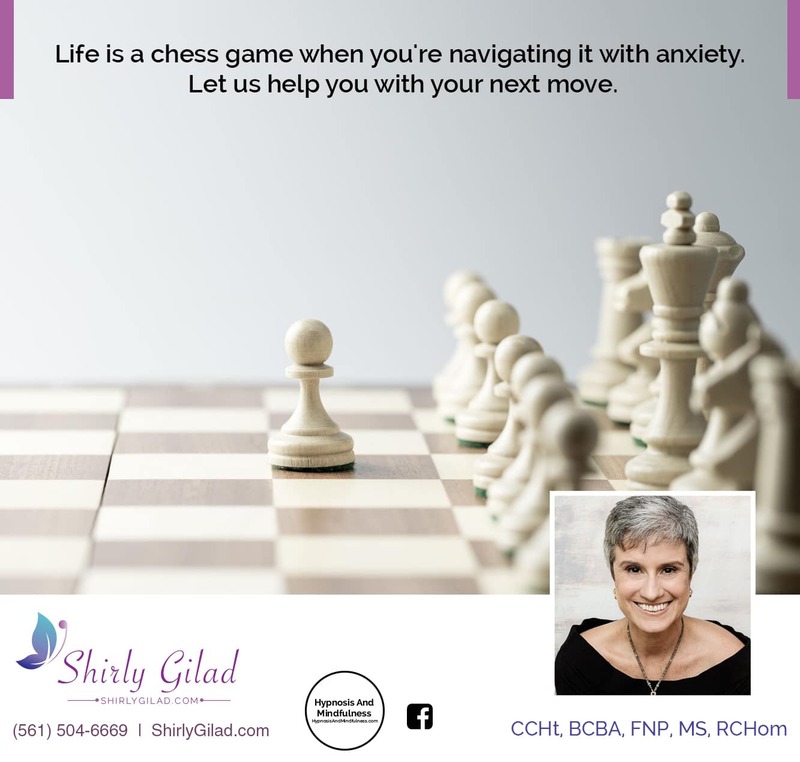 I went to Shirly because of debilitating anxiety, depression, and a general feeling of discontent or being “stuck”. I called it my mid life crisis. From the first time I met Shirly, I saw immediate improvement. She really changed my life, and quickly. I am more able to overcome my anxiety, my depression is gone, and I have become motivated to take action in my life for the first time in years. I have an overall feeling of peacefulness that I have never felt before. Shirly has truly changed my life. I am so grateful to/for her. 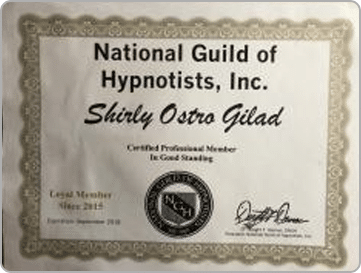 I would and do recommend Shirly’s hypnosis services to anyone who will listen! Shirly has been nothing less than a blessing to my progress with overcoming anxiety! After the first session I already felt 50% better , after the 3rd session I can say she helped me get over my agoraphobia and many other health related anxieties as I’m dealing with Chronic cancer . I would highly recommend Shirly to anyone who needs help, she is simply wonderful! 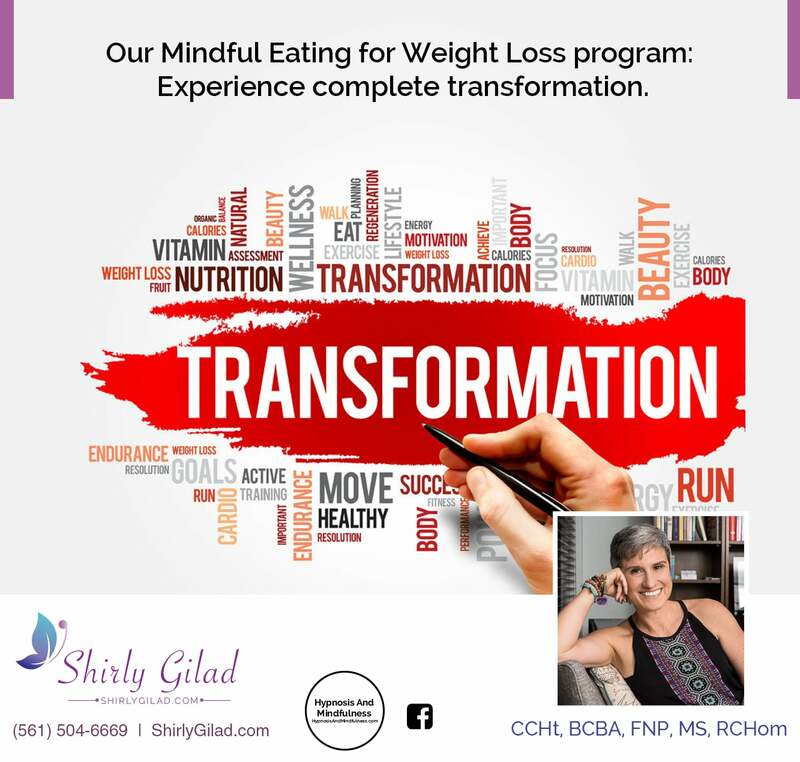 A few weeks ago I completed Shirly’s course on mindful eating and I highly recommend it! 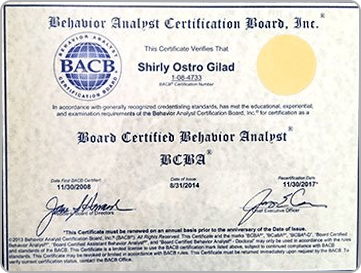 For me the individual class worked the best and I gained new knowledge about foods and behaviors that had been keeping me in a vicious circle of my food obsessions. Since taking the class I am free of sugars and grains, my mind is clear, my weight is more manageable and I have the understanding and the tools I can use when difficulties arise. I know now that looking for food to “solve “ issues is not the mindful way. When I moved to Boca Raton 3 years ago, I didn’t know a single person! 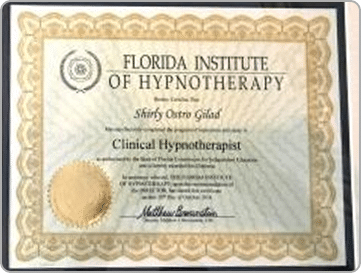 I was thrilled to find Shirley and her Hypnosis and Mindfulness Center, a place to learn, grow, and connect with others. 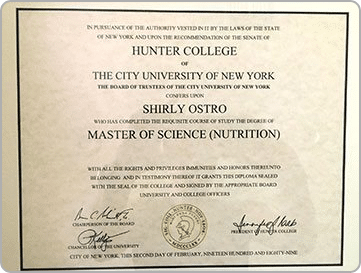 Having attended many of the offerings at the Center and having taken several classes with Shirly, I have found each one to be extremely beneficial. She has created a warm, welcoming, beautiful space which supports each participant. 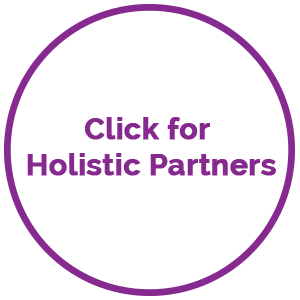 I attend a wonderful yoga class there, have taken a mindful eating class, participated in past life regression sessions, the monthly Mindful Femininity women’s group, and more. 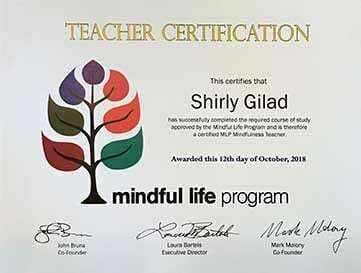 I recently completed Shirly’s course on Mindfulness which was quite enjoyable, experiential and informative. In addition to the information we learned and discussed in class, there was a handbook to support that learning. In addition, Shirly shared wonderful videos and provided links to other supportive materials, like readings and TED Talks. 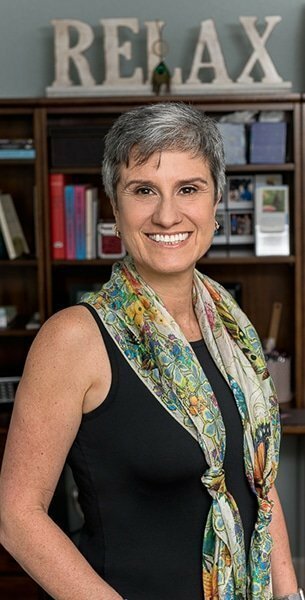 She is an extremely knowledgeable, kind and caring teacher and leader, who puts a great deal of thought and effort into everything she does. No matter what you are seeking, I feel this is a place that can help you find it. I went to Shirly because I have severe atopic dermatitis. All I’ve done for years is scratch, and talk about my skin. I had ENOUGH! I was desperate to stop itching and thinking about my skin. I couldn’t take it anymore. A friend told me about hypnosis and recommended Shirley. As soon as I walked in I could tell we would be a good fit. She was warm, friendly and very, very intelligent. I knew I was in good hands. It was a little scary at first to be hypnotized because I didn’t know what to expect. Shirley walked me through the process and made me feel very comfortable. I did great!!! The next hypnosis was much easier. 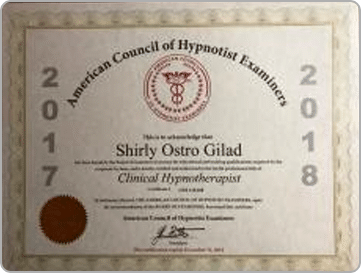 In addition to the hypnosis Shirley personalizes a meditation of what you need to set your mind free of. I listened to that daily and I barely scratched or talked about my skin. Other than to tell everyone how excited I was about my process. I HIGHLY recommend Shirley! She was a blessing in my life. I’m grateful for her. Highly recommend! Shirly was amazing during the sessions. She really cared about me and my goal to quit smoking, and support me during the process and after!! If you want quite smoking- this is the place!! Thank you Shirly!! Shirly really puts all her heart into her program! It was such an eye opener and great learning experience for living in the real world! I highly recommend this program to anyone who is seeking a more fulfilling way of being and living in the world. Schedule your complementary 30-minute call today!